This year marks the 25th anniversary of two of the most striking songs of the 1980s—as well as being, in my opinion, among the best songs of all time. The first is “Dr. 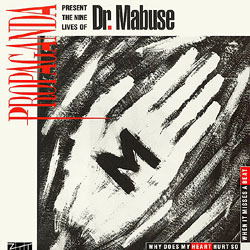 Mabuse” by German synthpop outfit Propaganda, inspired by the character made famous by Fritz Lang. Released to a modicum of chart success in March 1984 (it reached No. 27 in the UK chart the following month), my first contact with the song was a few months later, on the compilation album Now That’s What I Call Music 3. Propaganda spent much of their time in the shadow of mightier acts; they hailed from Dusseldorf, home to none other than Kraftwerk, and during their time on the renowned ZTT label—formed out of the perfect collision of Paul Morley and Trevor Horn—continuously played second fiddle to Frankie Goes To Hollywood, whose song “Relax”, released a couple of months earlier, had taken the label into the stratosphere of success (aided in no small part by the BBC’s laughable “ban”). This, together with their particularly European (i.e. non-British) sound—crowned by Claudia Brücken’s sharply accented vocals—meant that Propaganda’s popularity in the UK never lived up to their merits. Not that they were the most imaginative band in the world; they certainly weren’t, but “Dr. Mabuse” is an outstanding song, surpassing everything they did after, and outclassing most other songs that year. A feature of the ZTT label—rarely an advantageous or helpful one—was that remixes of songs released as singles were made in abundance. 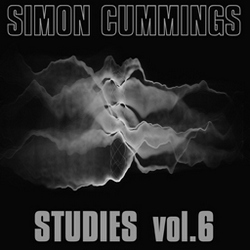 Furthermore, the same version often ended up with a plethora of subtly different titles and accompanying verbiage, which may have been something to do with releases in different territories or even the label losing the plot (clearly the case on some occasions), but was most likely the influence of Paul Morley, someone not exactly known for restraint where words are concerned. “Dr. Mabuse” is no stranger to this melée of remixes and names, but thankfully not to the same extent as Frankie Goes To Hollywood; the number of versions is relatively low. The definitive version of “Dr. Mabuse” is undoubtedly the one lasting approximately 10’17”, known for the most part as “Das Testaments des Mabuse” (the apparently longer version on the A Secret Wish album simply has “Strength to Dream” segued into its conclusion*). This is, in essence, the complete rendition of the song; the shorter version, released as the 7-inch single, is simply the first five minutes of “Das Testaments des Mabuse”, faded before the lengthy drum interlude. The song conjures all kinds of excitement in its introduction, with the sounds of coins coming to rest on metal overlaid by strangely sliding synths, before alighting on a chord that just won’t sit still, and Brücken whispers/intones “Ma-bus-e… why does it hurt when my heart misses a beat?”—it’s one of the great intros of modern pop. And then, with a crash, the song proper strikes up, smashing its industrial percussion left, right and centre, leading to the complete opposite of anything that could be described as a “verse”. There’s a fragment of melody, admittedly, a brief, portentous monologue, Brücken’s trademark “Sell him your soul … Never look back” refrain, and a restless pounding bassline (perhaps related to, but so much more interesting than, the simple octaves established by New Order’s “Blue Monday” the previous year), but quite which parts of this pertains to verse, chorus or what is entirely ambiguous. And so it goes on, interspersed with some glorious bridge passages peppered with unusual sounds; this is one of the great engaging facets of “Dr. Mabuse”, its array of fascinating noises coupled to an incessant rhythmic drive. From the “middle 8” (only in the 7-inch version; in “Das Testaments des Mabuse” it’s hard to know what to call it) synthetic strings are added to the fray; and after the hectic central percussion episode, which ends in fairly avant-garde mayhem, the song enters a lengthy and curiously four-square coda. It’s extremely rare to find a song that plays so fast and loose with conventional structures, while sounding so tautly organised; simultaneously enthralling and unsettling, it’s a brilliant achievement. Of the unavoidable remixes and versions of this mighty number, most can be ignored as they fall short of “Das Testaments des Mabuse”, both in duration and in quality. The album Outside World features no fewer than three. The lengthy “DJ Promo Version” is—despite being largely identical—a horrid fiasco, with hard-edged digital distortions that appear to be present by error rather than design. The “13th Life Mix” is a much better effort, effectively an instrumental remix; although it’s marred by some poorly executed joins in the material (there’s a ‘cut and paste’ feel throughout), and a pretty weird positioning of the fadeout, it does at least allow the disparate elements of the original—the muscular bassline in particular—to have some focus. However, one can’t help feeling it’s a mix put together in haste. And “The Lesson (Remix Of ‘Dr. Mabuse’)” goes through the motions, placing its assorted fragments into an entirely amorphous mould that bears no resemblance to the original. “(The ninth life of…) Dr. Mabuse” is found on pretty much all the 12-inch releases as well as the Japanese CD single, and is simply a mess, much of the music heard in reverse before pointlessly fading to a bolted-on coda. The one exception to this litany of bowdlerisations, though, is the first of Paul Morley’s vocal-less revisions titled “Abuse” on the remix album Wishful Thinking (fans of the ’80s movie Some Kind of Wonderful will immediately recognise this version as the music from the film’s opening titles). It’s a true instrumental version, as energetic and engaging as the original—just a shame it’s only 3½ minutes long. 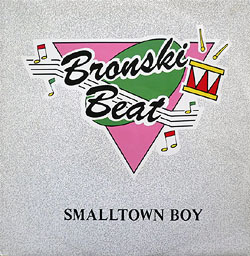 The second song to which i’d like to pay homage is Bronski Beat‘s “Smalltown Boy”, released a few months later, in June 1984. “Smalltown Boy” may well be one of the most heartfelt debut singles by any act, recounting the tale of a boy cast out from his home for being gay, and the tribulations he faces in contemporary society for being open about his sexuality. As all three members of Bronski Beat were themselves openly gay, these lyrics were clearly close to their heart, given remarkable expression through singer Jimmy Somerville. Somerville’s voice is one of the marvels of British pop, possessing the range and athleticism of a modern-day counter-tenor, at times soaring to simply astonishing heights—yet always sounding fundamentally masculine; the pop world had never heard anything like it. It’s gratifying that such an understated track (for all its beats, it’s a downcast, painful song) should reach No. 3 in the UK charts. Equally gratifying, the number of versions of this song is very low and easy to negotiate. (Having said that, like all great songs, it’s suffered at the hands of those—unscrupulous and incompetent in equal measure—wishing to cash in on its iconic stature. An execrable series of acoustic and trance versions were released in Spain and Italy (where else?) as well as Germany in 1994, but this egregious release should be consigned to oblivion). The original 7-inch clocked in at just under four minutes, but almost immediately this gave way to a longer, five-minute version (sometimes referred to, erroneously, as the ‘extended mix’) that includes a fairly lengthy middle 8; by the sounds of things, this is actually the original, as the shorter version sounds somewhat clunky in its transition from the second chorus back to the final verse. The song uses the New Order-esque octave bassline i alluded to above, but made simpler and, at first, positively quiet and restrained. Indeed, the 30-second intro is laden with melancholy, from the reticent melody, hesitantly picked out, to the plangent F minor9 suspension produced as Somerville sings “To your soul” the second time. Most striking, though, is when Somerville’s voice, initially soft and low, launches upward for the word “cry”, literally crying it out; it’s a breathtaking and actually rather shocking moment. After which, the ubiquitous beats begin, but are noticeably less ‘punchy’ than one might have expected; this is no disco hit. In fact, the beats relent throughout the verses, yielding and giving marked emphasis to the plaintive lyrics; and the chorus, when it arrives (continuing the poignant dissonances from earlier), seems equally concerned with not detracting from the importance of the verses, being brief and minimalistic. The only moment of pure ‘popiness’ comes in the middle 8, although even this is tempered by the lyrics’ repetitions of “Cry boy, cry”. Seven years later, in 1991, Stephen Hague remixed the song for a re-release in aid of the homeless charity Shelter. Hague clearly recognised the power of the simplicity found in the original, and his remix is little more than a slightly polished version, essentially retaining the sounds and timbres of the original (although with an ever-so-slightly better rendition of the intro). Another version was made by Harvey Goldberg for the remix album Hundreds and Thousands, and while it emphasises the rather nice synthetic sax countermelody, makes changes to the original purely for change’s sake; ultimately more irritating than interesting. The definitive version must be the “Extended Version” found on the original 1984 12-inch release. Clocking in at exactly nine minutes, the Extended Version features the entire song sung twice, the latter of which is the same as the 7-inch version. The first sing-through, though, is a revelation: stripped down and sparse, with little more than an ominous bass glowering beneath—not a beat in sight. 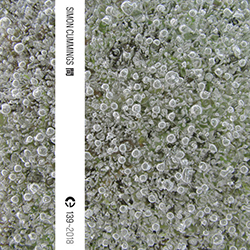 Furthermore, the vocal is entirely different, sung in more improvisatory manner, Somerville’s voice exquisitely passionate and fragile. It gradually segues into the familiar version, but taking its time, with no sense of impatience; in that sense, it’s not a “club mix” in the slightest, but rather an opportunity to savour what is a simply amazing song. i’ve never found the Extended Version on any CDs, so if anyone knows of this version on CD somewhere, i’d be very pleased to find that out! Great analysis of both songs. It's nice that someone delves into something a lot of people (like myself) have a strong relationship with, yet is buried so deep in pop history. Really appreciate this Propaganda – info and d/l. Loads of good 12" around in those days from the more enlightened who saw the chance to 'expand and enhance' as opposed to filling the vinyl with repetition. Bronkski album was a real goody in its day. Is the Das Testament Des Mabuse a vinyl rip? Or is it from the 1980s Japanese CD single? Thanks as ever for the illuminating info! Mike – it's from the CD; thanks for the comment! The extended 9m00s version of "Smalltown Boy" is on many compilations, I think? One place is on the 3xCD compilation "so80s Volume 2 – Presented By Blank & Jones".